Love My Tapes and a giveaway!! Love My Tapes. Have you heard of them? Well if not, not to worry as you are about to hear plenty! They were a new exhibitor at CHA this summer and were one of the new companies I wanted to learn more about. Basically they have adhesive backed fabric rolls and fabric paper. They also have their own adhesive tape runners. Today I am going to feature the fabric tapes and fabric paper. Here we go! Ease of use: The fabric tapes were a cinch to use! So easy. Just peel off the backing and adhere where wanted. How hard is that? The fabric paper was a little more difficult, but if you work with it and have patience, it definitely pays off. Construction/Durability: This is one product that I am not going to worry about falling apart or falling off my page. The adhesive on the back is plenty tacky and will do well when put on my projects. Usefulness: I used these products for paper crafting, however, I believe that you would be able to use them on head bands, and other alterable projects. Cost Effectiveness: Compared to other fabric tapes on the market, and there aren't many, they are competitively priced if not a tad lower. -I loved how versatile it is. You can wave it, pleat it, or just keep it flat. 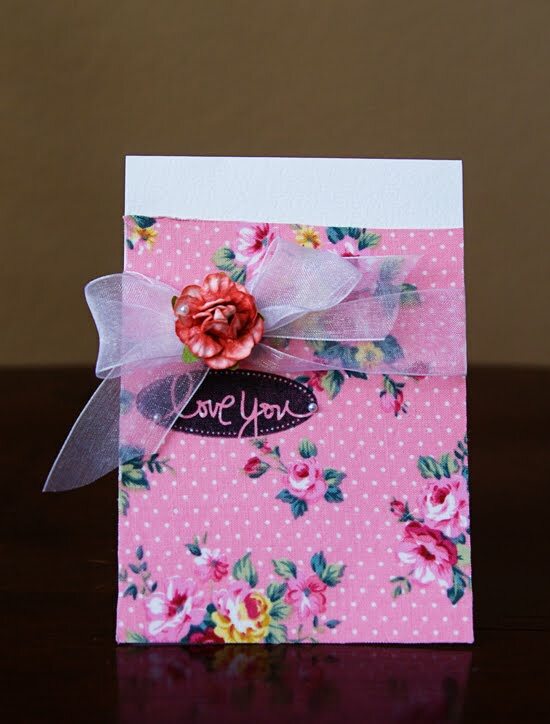 -They have many cute patterns that can go with a lot of different patterned paper. -The fabric paper was a little difficult to work with, but nothing that can't be overcome. I really enjoyed working with these fabric tapes. Oh and if you stop by their blog, Love My Tapes, every Tuesday they give you a tip on how to use them. Fun huh! What do you think? Is this a product that you would "love" or are you good without it? Leave a comment by midnight EST on Thursday to win a prize pack from Love My Tapes! Wonderful!!! I'm crazy in love with tapes, I'm buying lots of rolls but could really need some tips on how to use them. This is perfect! You've made some beautiful examples using the tapes, and their company blog looks good as well. Thanks for the inspiration, and the chance to win! These look like a lot of fun! Thanks for the helpful review. I'm really loving tape trend and this company looks like they have some fun variety! I am so glad to see something like this on the market! Can't wait to try it! I would love to give this a try! I haven't used any fabric tapes at all so this would be new to me. i love fabrics for crafting so i hope it will be available here in europe, too! thanks for sharing! I'm intrigued! Thanks for the chance to win. 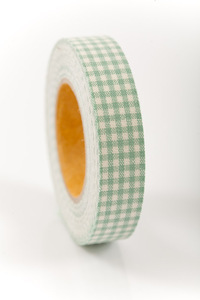 I have to admit that I'm quite intrigued by the fabric tape - I just wish it were more readily available in my area. I haven't used the tape. Looks like a product I would like. I have never even heard of fabric tape before, but now that I know about it I'll have to definitely get my hands on these!!! Amazing.. 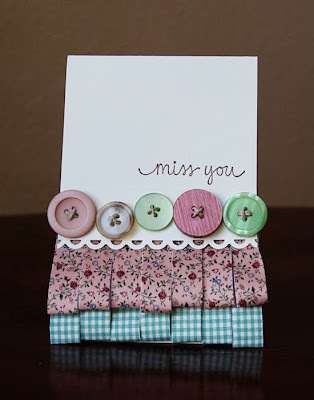 I really love how you pleated it and made ruffles on those adorable cards!! So cute!!! I need some of that! I admit I have been super curious about these Fabric Tape and would love to try these out it looks like so much fun! Great review, helpful and makes me want to run out and buy some. I'm down for anything that makes using fabric on layouts easier and faster! Anything that has built in adhesive that works is great in my book! Thanks for a chance to win! I haven't bought any yet, but love the projects I've seen. I'd just rather see this in person before buying. I have adhesive backed ribbon and sometimes it's hard to get it on nicely, but at the same time it's so easy to make it stick... The tape sounds fantastic! I would love to see and try this product. Cool..I've been looking for such decorative tapes on ebay but have been finding them pricey..these look good..would love to try them out !! I have been hearing lots of good things about the patterns they offer and I am always excited to try new things in my creations. I have not seen/heard of these before, but I am definately interested!! I definately want to add to my "collection"!! Super cute card too!! I definitely think I would use these tapes...I like to create scrap pages that 'open' in the middle and I need the tape to attach the sides...always looking for something like this. Thanks! The only fabric tape I've ever used is Cloud Nine. I've used other tapes that's not fabric. Love the way they add a little bit of fun to the cards and layouts I create. Would love to play with another company I've never used before. Thanks for the chance to win. 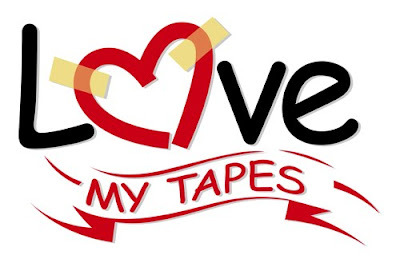 I recently started following "Love My Tapes" and I completely LOVE them!! Thanks for a giveaway!! and I hope I win!! Love tapes!!!! 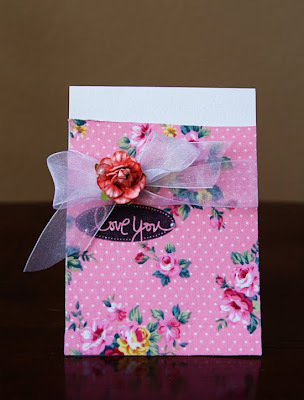 I have only tried Pink Paislee and Tim Holtz ones but I love the style's of these ones! oh boy would I love some of this tape. I use so many glue dots trying to create lovely pleated strips of paper for layouts. It would be great to use the tape instead! oh how cool!!! never heard of them, but am totally intrigued!! I have want to try this tape so bad!!! I just love your projects! Wowo never heard of them....where can we find them bricks and morter???? Very Cool! 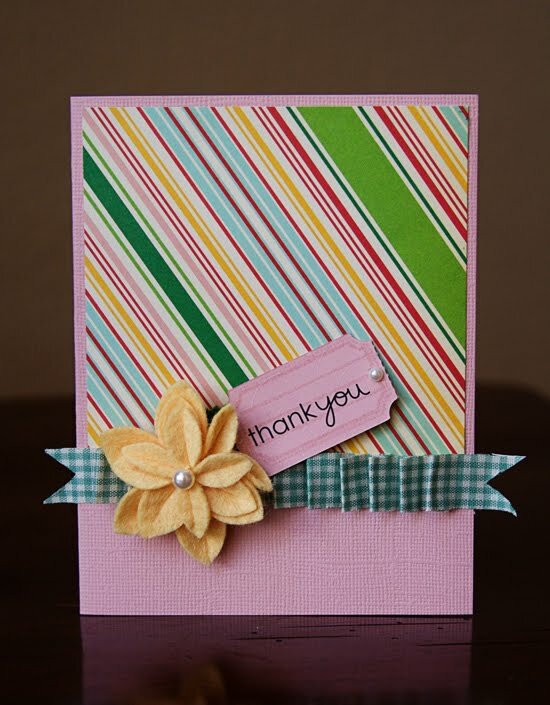 Looks like tapes provide lots of possibilities for pleating, which is so popular in paper crafting these days. Would love to try them out. Thanks for the info about Love My Tapes! The tape gives your projects a great finish. Would like to try them. What a great idea. I have never used these tapes, but I certainly think it would be a great addition to my scrapbooking projects. I love what you did with the tapes on the last card posted. So cute. I would love to try it. This looks like a great product. It comes in a variety of colors and patterns so I think it would work on my cards and scrap pages. these look like they'd be a blast to work with. so many possibilities! thanks for the review! I have really enjoyed the Pink Paislee Artisan tape I got in a recent kit. I would LOVE to have more like that! I love your flower.... I really would like to play with a roll. I have not used tapes yet, but these sound like something I would like. Thanks for sharing info about them. I've heard so much about these tapes, and I would love to give them a go!! Thanks for doing this review! These look so cool! I'd love to try them! I love fabric things in any way. You will found ribbon on any Lyout i make!!! These look fun; I've haven't heard about them before. These tapes look like a lot of fun to create with! I have not used anything like this so it would be pretty cool to check them out. Thanks for introducing them to me! I'd love to try these...especially the tapes. Would like to try to die cut the fabric too. I have never worked with any tape so I checked out the blog and Wow! This is some amazing stuff! I have been wanting to try this. Thanks for the chance to win. I have not seen this in the stores yet. It does look interesting. I have not seem these yet, very intriguing! Going to look for them in the stores. 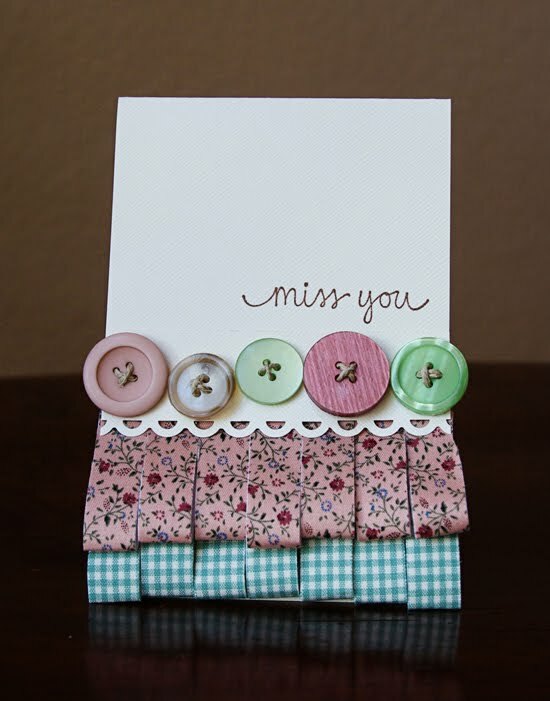 Love tapes and that blue gingham is darling! I have never even heard of this!!!! I would love to give it a try! I could see myself using these. It looks great! I've never seen something like that in my LSS. would love to try these out...they seem very versatile! and its recognition. You might be able to easily acquire them on the net just pick out essentially the best successful deal that gives these sets at hottest fees.